Sawadee Ka Thailand! Known before as the “Kingdom of Thailand” (Siam), the country is situated in the Southeast part of Asia neighboring Burma, Laos to the north and to the south by its Gulf, Malaysia. 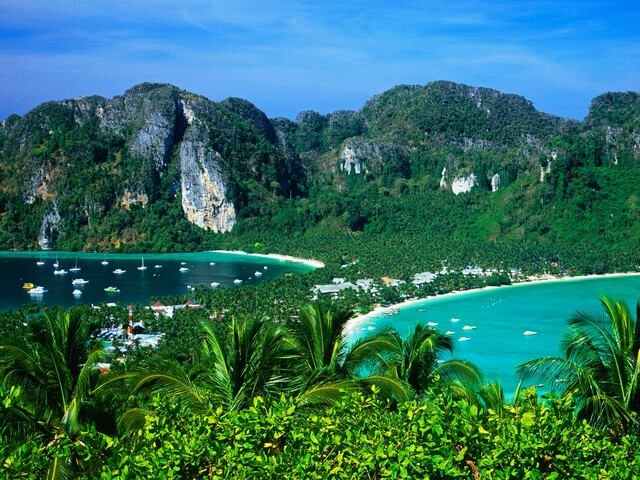 Thailand is a great place for holidays and travels for many people. In fact, a lot of travelers visit the place for a number of reasons. November till mid February is the winter season of Thailand. Mountainous areas experience a down-to-zero centigrade on some occasions. Summer starts at mid February and cools down till April. Although it is hot and humid, summer is the best month to visit Thailand. It’s the time when flowers bloom, mists and fogs from the mountains create enchanting sceneries, the air is cool and dry all day. It’s the time of the year when you get to experience the Songkran Festival. There would be a lot of splashing to become keep cool all the time during the occasion. There are only two seasons in Thailand – the summer and the rainy season. You can travel any time of the year that you’re comfortable with. Aside from its fascinating natural destinations both inland and along coastline, old or new, traditional or modern, Thailand is a perfect place to explore in the entire Southeast Asia. Thailand’s vibrant capital city is Bangkok. This part of the country has the flourishing number of places of tourism. a. Samut Prakan is a home of the world’s tourist attractions. Experience alternative living, residential lifestyles along the channels, old, historical sites and establishments as well as world’s largest crocodile farmstead nestled around. b. Samut Songkhram King Rama II Memorial Park and Amphawa Floating Market are the best places for visitors searching for adventure. c. Kanchanaburi is a great place for rafting down the rapid streams while watching the delightful enchanted sceneries around the River Kwai, Death Railway. d. Lop Buri. A haven for flower enthusiasts. The famous shrines of Khmer where the relics of King Narai’palaces is there surrounded by blossoming picturesque sunflowers. e. Chiang Mai. From Bangkok to the mountainous panorama of Thailand lies the magnificent art of northern Thai rich cultures. This the largest province of Thailand made famous by their most visited places such as Bhubing Palace, Doi Inthanon and Doi Suthep and many others. Flower festivals are held in this place too. f. Chiang Rai. In the slope of northern Thailand at the heart of Golden Triangle, the famous and most viewed fascinating attractions, native inhabitant lifestyles and thrilling rides of elephants are found in the famous county of Chiang Rai. This place is the home of the Mae Fa Luang Garden located in Doi Tung. g. Lampang. Known as the solitary province of Thailand, it’s town, Lamphun, features lovely, gorgeous women, orchids, and historical and modern temples. Horse drawn carriages are still their means of transportation in this place. Traditionally and historical, Thailand has a lot of tourist attractions to offer – like mountainous provinces with many caves, waterfalls, flora and fauna, parks as well as a lot of adventurous escapades.